Pierre and Alexandra Boulat never had the ambition to construct what you might call an oeuvre, a body of work. They didn’t see themselves as artists. They just wanted to be witnesses to their time; photojournalismwas therefore the central passion of their lives. 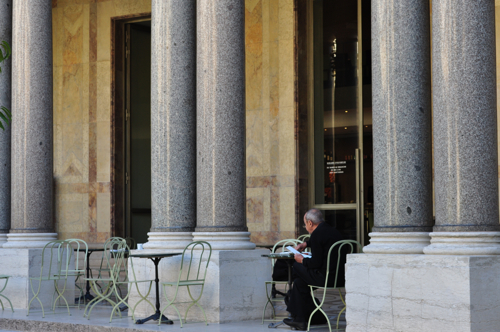 Le Petit Palais is showing 100 Photos de Pierre & Alexandra Boulat, a very touching exhibition by a strange couple of photographers who are well known in France. Alexandra Boulat was a photojournalist of international reputation who covered the main conflicts of the last two decades. Pierre Boulat, her father, worked for magazines such Life and testified to what in France they call les trentes glorieuses. It’s actually a story of a father and his daughter. Or, if you prefer, the other way round. It’s also about a young woman deciding to do the same job as her father. But Alexandra Boulat didn’t do it out of a sense of competition, wanting to be better than her father or unconsciously wanting to fail. She did it with the same seriousness and passion her father had. The touching thing about this show is that you really have two generations and two different ways of looking at the world. You can feel that their perspectives were in a way familiar, but with different overtones. Pierre Boulat’s best work was done in the post-war years and the glory years which followed. He, in a way, showed a world that was rediscovering its joie de vivre. Not that he took no photos of political crises or natural disasters. But he was especially interested in the lives of ordinary people and the gestures of the famous. There is Juliette Greco en privée and Arthur Rubinstein joking with some folks around a dinner table. 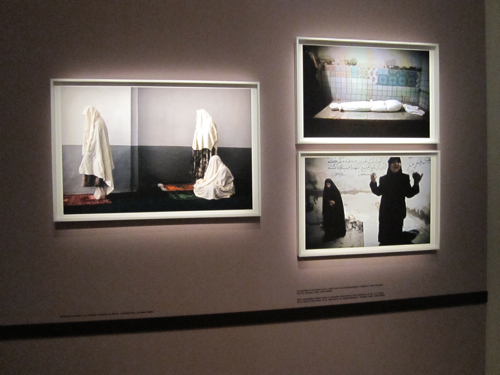 Whereas Alexandra’s career, as her mother Annie Boulat puts it, unfolded in a world of conflict: “Her talent evolved in relation to the darkest side of humanity, in which she tried to find some glimpse of light.” Take a look on her photos showing Iraqi women mourning their dead men or Afghan women praying in a Mosque: the heads and faces are hidden, you just see the nail polish on their toes. 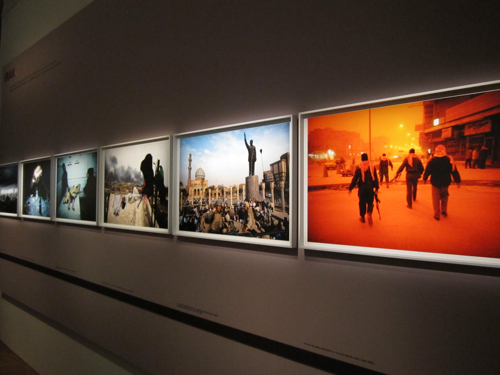 A blessed soul in its solitude The exhibition, co-organized with Reporters sans frontière and the Mairie de Paris, is very intelligently and beautifully put together, showing on one side the work of the father, and on the other the daughter's photos. The strongest moments are certainly those when you discover how differently they covered the same subjects. Take the designer Yves Saint-Laurent: the father took his photos in the sixties, showing a fashionable man at the height of his career, sometimes eaten by his fears. Forty years later the daughter shows a blessed soul in its solitude. Pierre Boulat, suffering from Parkinson’s disease, died in 1998 at the age of 73. His daughter suffered a ruptured brain aneurysm in summer 2007 and died weeks later in her sleep in Paris on October 5, 2007. The exhibition is a beautiful homage not only to the work of father and his daughter, but also to a profession that's threatened by extinction. 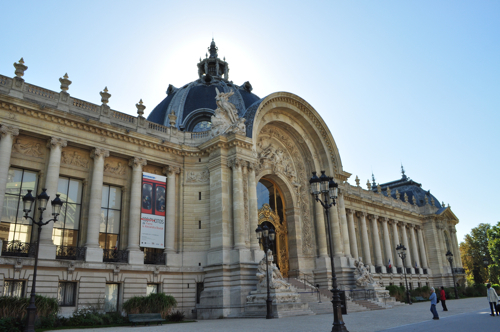 100 Photos de Pierre & Alexandra Boulat Petit Palais Avenue Winston Churchill 75008 Paris +33(0)1 53 43 40 00 Champs Elysées Clemenceau Tuesday to Sunday from 10 am - 6 pm, on Tuesdays until 8 pm Admission is free Pierre et Alexandra Boulat pour la liberté de la presse envoyé par mairiedeparis. - Découvrez plus de vidéos créatives.